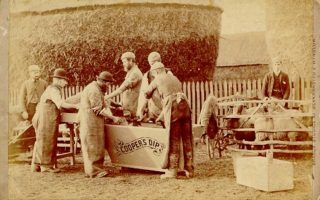 William Cooper arrived in Berkhamsted in the early 1840s seeking to start a new business as a veterinary surgeon. It is said that he arrived from London on King the carrier’s cart and that his possessions were all contained in a black carpetbag and he had but half a crown in his pocket. He set about establishing a practice but as a stranger in the area he was treated with suspicion and farmers were unsure of his ability. By 1851, he lived in a small house in the High Street where he worked on experiments, which led to the formulation of his famous sheep dip. Scab, the scourge of sheep, had previously been treated by smears containing tar and goose-grease, tobacco stalks and brimstone. From 1843 to 1852, William carried out meticulous experiments using a combination of arsenic and sulphur. 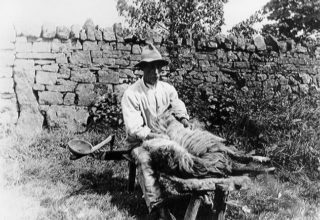 He finally produced a sheep dip preparation, which could be standardised in composition and quality as well as easily stored, packaged and transported. Cooper choose to develop a new approach to curing sheep ailments. His method was to treat the entire animal by immersing it completely in what he described as dipping bath. This allowed medication to penetrate the fleece and reach the animals skin. This treatment enabled both to cure the infected areas and protection against infection. William Cooper erected his first mill for the manufacture of powder dip at Ravens Lane in 1852.The factory was extended five times during the second half of the 19th century. Originally the dip was prepared out of doors and mixed by (with shovels) before buildings were erected. The factory was extended five times during the second half of the 19th century. There were horse- powered mills for grinding, kilns used for boiling the liquor as well as areas where the sulphur was dressed. New steam- powered machinery was introduced in the 1860s and carpenters were employed to make boxes to carry the dip. William also developed his own printing works and the lithographic process was used to produce labels, which could not easily be imitated. Initially William managed all parts of the business himself but it soon became too much for him. 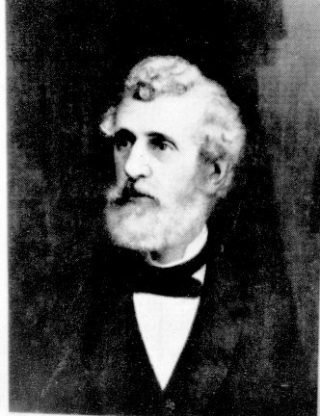 In 1868, he was joined by his nephew, William Farmer Cooper who initiated their overseas trade. Sadly, he died at the young age of 37 in 1882. Subsequently two other nephews Henry Herbert and Richard Powell joined the company. Henry Herbert dies in 1880 and in 1884 the company became William Cooper and Nephews and a new crest devised. 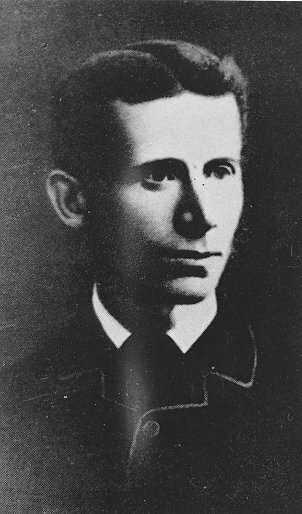 His uncle William Cooper died three years later in 1885. Richard Asmole Cooper became the sole heir on the death of William. He was much mourned by his employees. Although stern and hot-tempered, he treated his workers fairly and many of them stayed with the company all of their working lives. This page was added on 28/06/2011.